Last year the Dungannon man played just 12 PGA Tour events but was told that his playing privileges were secure because of his personal circumstances. 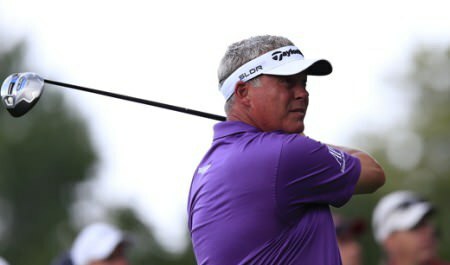 After receiving the same treatment again this year, Clarke said: "The PGA Tour has been kind to me, and unbelievably fair. Next year, I'm going to try to play as much as I can. But the whole schedule revolves around my kids." Clarke finished 52nd on the PGA Tour money list last year with $1,465,921 but is 120th so far this season with just $660,898. The Dungannon man's priority is his sons Tyrone, 8, and Conor who celebrated his sixth birthday last week. Clarke said: "Things are massively different to what they were before. At some stage I have to grow up and this is the prime time for it. I have added responsibilities now and I have to do the right thing, both by my boys and my job." Clarke is playing in this week's Dunhill Links Championship in Scotland and plans to compete in the season-ending Volvo Masters at Valderrama. He added: "After Valderrama I've got five days off and I have got to go down to Pinnacle Point, the golf course I have done in South Africa and open that. "Then I go from there to Japan to the Visa to defend that, then I think I may play Tiger's event just before Christmas. "I've talked a lot to Tyrone and Conor at home and explained everything that is going on. They know when I am there and they know when I am not there. "Every decision I have made so far I have sat down and talked to them to explain what was going on." Last week's birthday party came just days after Clarke played a massive role in Europe's record-breaking Ryder Cup win at the K Club. Clarke said: "To see the look on Conor's face when he turned six was worth a million Ryder Cups. When they're not in school, I won't be playing golf. Golf is not my priority anymore. My boys are." 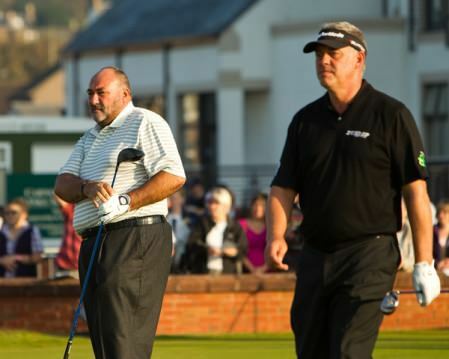 The decision by the PGA Tour is the second piece of good news that Clarke has received in recent days. Last weekend, football star David Beckham sent him three signed Real Madrid football shirts, one each for himself and his sons. Clarke said: "I think it's a fantastic gesture from somebody I've never met. It shows what a great guy he is to go out of his way to do something like that." Darren Clarke has spent the past two weeks in the Bahamas, sunning himself with his sons on the white sands as they enjoyed their first holiday together for two years. Clarke's last victory came nearly a year ago.The day job called him away on Monday, to New York, where he entertained his sponsors Barclays Capital before arriving in Akron for what he thought would be a one-week US engagement in the WGC-Bridgestone Invitational at Firestone near Akron in Ohio. Imagine his delight then when a call came through from PGA of America headquarters in Palm Beach on Monday night, telling him that he was invited to take part in next week’s US PGA Championship at Hazeltine National in Chaska Minnesota. 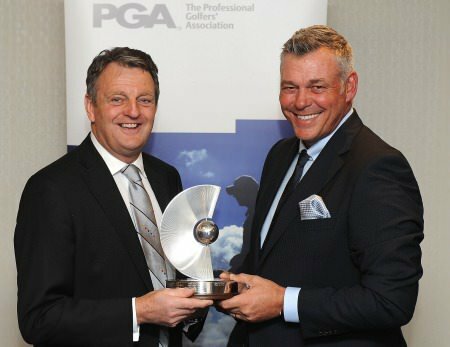 Darren Clarke receiving the PGA Recognition Award from PGA Captain Eddie Bullock. Picture: Tom Dulate/Getty ImagesDarren Clarke was back on the Ryder Cup radar again today when he received the PGA Recognition Award at The Professional Golfers’ Association’s annual fundraising lunch.